Vase filler. Strombus Urceus/Conch. D: 1"- 2" (Brown/Cream/Tan) Discounts Apply ! A smaller size Strombus Conch sea shells have been widely used as plant terrarium's accessories. 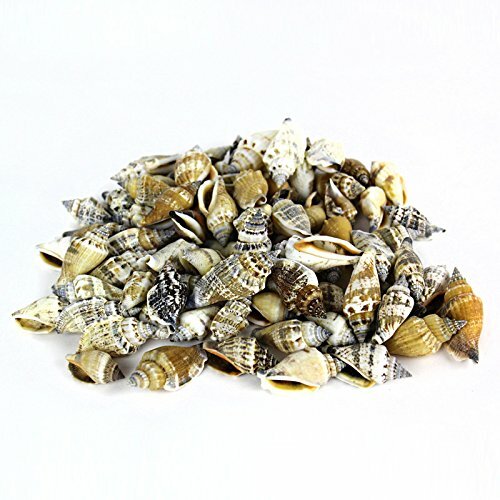 The shells have beautiful tan and brown coloring with stipes on some shells. The size make it a perfect shell for all your DIY craft making ideas, jewelry, gluing, scrap booking, small vase fillers, ornaments fillers or simply display in a pretty bottle of your choice. It's one of the mush have pieces for beach themed wedding. The scientific name of this shell is Strombus Urceus.